In what must be a real blow for those nasty and conniving individuals who have literally run out of dirty tricks in their grubby, filthy, deep pockets, a U.S. District Court judge for the Eastern District of Pennsylvania has dismissed a trumped-up lawsuit filed by Philip J. Berg. Berg, an attorney and a disgruntled former Hillary Clinton supporter, filed a lawsuit on August 21, 2008, throwing everything but the kitchen sink at Barack Obama. Berg drew upon such sources as Inside Edition and the Rainbow Edition News Letter among other sources to argue that Obama was born in Kenya instead of Hawaii. Berg further alleged that, even if Obama were born in Hawaii, he relinquished his citizenship when he moved to Indonesia – at the age of 6 – with his mother who had married an Indonesian citizen. The following is the order granting the motion to dismiss Berg’s lengthy and ridiculous complaint. Judge Surrick found that Berg lacked standing – a judicial requirement that the person filing the lawsuit has been injured in some tangible way that a court is willing to recognize as deserving of redress. The court not only found that Berg lacked standing but also that the court lacked subject matter jurisdiction. Berg immediately followed the dismissal of his ridiculous lawsuit with an appeal to the Third Circuit Court of Appeals on October 30, 2008. It is truly amazing what the Obama haters are willing to try in order to prevent Obama from continuing his quest for the presidency. Samuel Joseph Wurzelbacher – better known as “Joe the Plumber” has decided to plumb his “15 minutes of fame” for as much as he can get. Wurzelbacher is so sure his personality is and will be in such high demand that he has hired a publicity firm to handle what he hopes will soon be a book tour and celebrity appearances. The same firm that handles Eddie Money and Grand Funk Railroad has been brought on board by the former Alaskan resident. Yes, you heard me – Wurzelbacher used to live in Alaska and was the recipient of a speeding ticket in that state. What are the odds? Talk about arrogance. He apparently thinks he will be so “hot” that the media and talk shows just won’t be able to get enough of him. In preparation for his national debut, he also cleared up that small problem of his back taxes, at least if it is the one and the same Samuel J. Wurzelbacher of Toledo who siddled in and asked Obama the now infamous question which led to the “spread the wealth” answer. According to Ohio Public records, a “Samuel J. Wurzelbacher” paid his back taxes of $1,182.99 just days after his famous appearance on the campaign trail. The tax lien was released on October 18, 2008. What a coincidence – just a week after his rise to fame. Oh, oh, my conspiracy theory bent is showing. Last week, Colin Powell took the long-anticipated step of declaring which ticket he would support. In a cogent and well-reasoned statement, Powell publicly endorsed Obama and stated he would be voting for the Obama/Biden ticket. Of course, McCain has attempted to downplay the Powell endorsement. Add to Powell’s endorsement, the backing of Christopher Buckley – as in the son of William F. Buckley, the patriarch of conservative thought – and you have another whammy. Christopher Buckley’s endorsement cost him his position at the National Review, something he no doubt expected after the furor his endorsement caused. The nationally syndicated conservative columnist, Kathleen Parker, calls Palin “an embarrassment.” Now that has to hurt. Parker opined that she was at first really pulling for Palin as part of the McCain twosome. That is until she heard her talk and talk and talk. 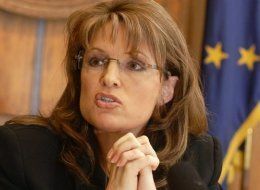 Parker quickly – and painfully – changed her mind coming to the conclusion that Palin was, well, just out of her league. Seems these staunch Republicans have examined Palin and found her wanting. Hmm, maybe Palin will cancel her subscription to the Anchorage Daily News – if she has one. Okay, and are the right-wingers saying that if McCain is put into office, this won’t be a test for him either? Come on, no president ever faces these kinds of tests until he is in office. No matter what political office a president holds before he is elected, it does not involve international crises. When it comes to foreign affairs that involve international matters, the President is charged with working solo with the advice of others on how to manage international affairs. Governors don’t enter into treaties or take action against foreign entities. Senators and Representatives don’t directly deal with foreign governments during a crisis. No amount of experience on McCain’s part makes him any more equipped to handle a “test” than Obama’s experience. When it comes to a foreign crisis, they are on equal footing. After all, McCain has never handled a foreigh crisis – that task is left up to the President and that role is established in the Constitution. The hysterical Republicans are grasping at anything that moves. I used to really hate my name. I was named after a friend of my mom and dad’s in South Whitley, and I just couldn’t understand why I was given an old, fuddy-duddy name. Growing up I answered to the likes of “Charles”, “Charlie”, Chuck”, “Chuckles”, and, in law school, I became “Char.” Probably about the only ones who called me “Charlotte” with any regularity were my parents and our grocery store customers. But the one thing I did know was that I sure didn’t have anything to do with picking my name. So I find it interesting that the desperate Republican muckraking machine still tries to slam Obama for his name – and not his first name or his last name but that one squeezed in between – his middle name. Yes, that’s right – his middle name. The tactic is classic Republican dirty politics. Distract the public with red herring issues – like a name – so as not to draw attention to the fact that the McPalin ticket is inept, uniformed, incompetent, uninspiring, and losing its luster – if it had any in the first place. So let me ask you readers out there – how many of you helped your mommy and daddy pick your name? Any of you? None of you? So while Obama and Biden are campaigning to talk about real issues, the Republican dirty trick machine is still hard at work spewing hatred and fear – all based on a middle name that Obama was not asked to approve from the depths of the womb. McCain has recently dissed Obama for ties to the Association of Community Organizations for Reform Now – better known as ACORN – that infamous group that is now being scapegoated for all the ills in the United States. Mortgage failures? ACORN. Investment firm failures? ACORN. Voter registration fraud? ACORN? Global warming? ACORN. Collapsing bridges? ACORN. You get the idea. Me thinks he must have changed his mind. The convenience of waving the fear flag of voter fraud and scapegoating ACORN proved too much. McCain has turned on ACORN because of simple political expediency. Where did that loving feeling go? Well, now I have heard everything in the way of trying to trash Barack Obama. The following is a comment from a poster at Townhall.com, a right-wing blog. Not to be outdone, the right-wing radio host, Bob Grant, was offended – and adamant – that Barack Obama was standing in front of a red, white, and blue flag with an “O” in the middle. Grant used his air time to spout the drivel that Obama had created his own flag. Ouch – I bet that hurt. Malkin would have loved to have jumped on that bandwagon. Unfortunately, the bandwagon didn’t have any wheels. 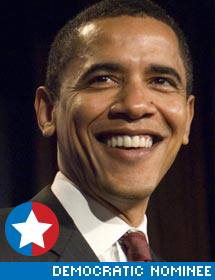 For the first time in its long history, the Chicago Tribune has endorsed a Democrat, and that Democrat is Barack Obama. Under its past publishers, the Tribune has been a bastion of right-leaning views and generally favored Republicans. While the Tribune said it “liked” John McCain, the endorsers also found him hard to figure on tax policy in light of the federal budget deficit and termed his proposal to buy up bad mortgages “misguided.” But the Tribune found that the worst decision McCain has made was to choose Alaska Gov. Sarah Palin as his running mate, calling her unprepared to assume the presidency. Apparently, the endorsers aren’t as enthralled by Palin’s winkin’ and blinkin’ as the right-wing Republicans who find her so charming. The paper endorsed independent Horace Greeley in 1872, and Progressive Party candidate Theodore Roosevelt in 1912 — choices it said were driven by outrage at inept and corrupt business and political leaders. The Tribune says it sees parallels today in the Republican Party, noting that it believes that the party of limited government has lost its way. A historical endorsement to usher in a historic presidency. McCAIN – WE’LL BUY THE BAD MORTGAGES – WHAAAT? 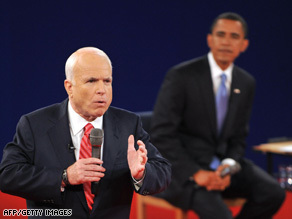 I have to admit when I heard McCain spout his line of political pandering during Tuesday night’s debate, I did a double take. And, apparently, so did many in his own party. But Conservatives are upset about more than just the “plan.” It was the way in which McCain opened his mouth and inserted his foot. As McCain wandered around the stage trying to think of something in response to a question, he threw out the idea that the government should step in and buy back bad mortgages in order to restructure them and institute lower interest rates. I guess it isn’t enough that the government just voted to bail out a bunch of mismanaged corporate hotshots, now McCain wants to use more taxpayer funds to bail out homeowners who got in over their heads. He has become one loose cannon, and I bet those in his party are wondering just what he will say or do next to try to buy off the American voting public. Following on the heels of the announcement of McCain’s new strategy, Palin quickly slithered into her new role as attack VP, using her pulpit to espouse the politics of fear. The statements were released by the McCain/Palin campaign. Folks, these tactics won’t work. They are the desperate, last-ditch efforts in a campaign that is on its way down. Americans want to hear about the plans the candidates have, not the same old rehash that we have been through for the last heaven knows how many months. McCain and Palin are now desperate and will try anything. It sure didn’t take Palin long to drop her folksy, down-home persona and morph into the type of politician she and McCain have always decried.